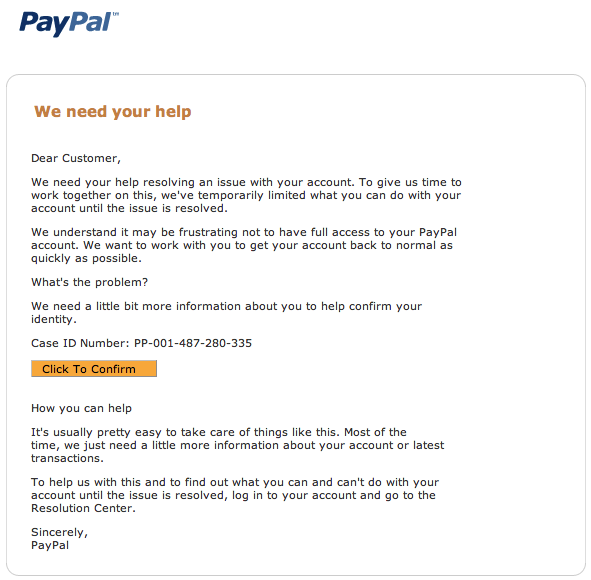 The following email from PayPal is fake. DO NOT click the link in the email — it’s a phishing scheme to steal your identity. account until the issue is resolved. Note: This Domain Name is currently Locked. change the status from within his control panel or approach his service provider for the same.